One of the earliest white flowered types to flower. Camelia Nobilissima is a strong growing form and upright habit. 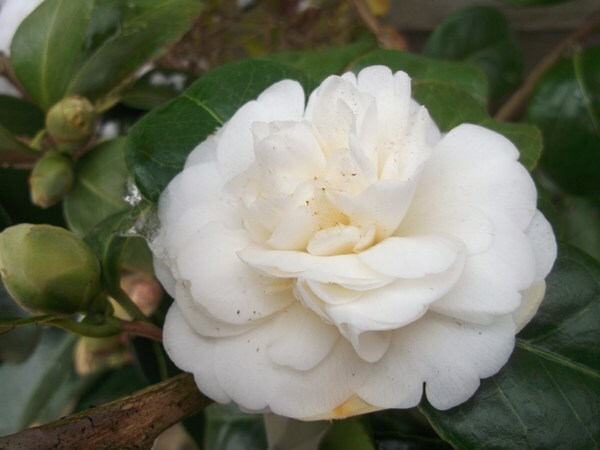 The medium sized white flowers posses an attractive gold yellow hue. It is a peony flowered form meaning the flower consists of a cental mass of small petals much like scrunched up tissue paper. 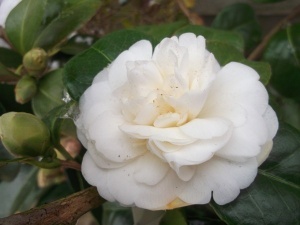 Like all camellias avouid direct morning sun on the flowers and buds.